Charge the trail with this running shoe that’s stable enough to tackle tricky terrain. 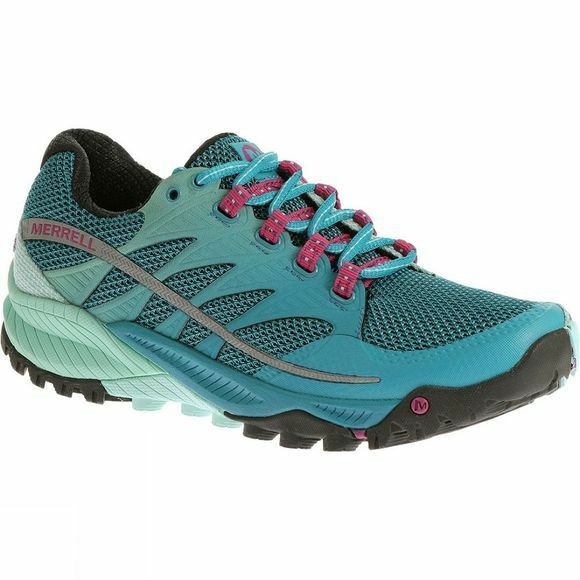 Impactresponsive Uni-Fly cushioning under the Women's All Out Charge Shoe connects you to the ground. HyperWrap 360-Degree Fit System locks the foot in place to enhance natural stability and agility. The TrailProtect pad offers under-foot protection when off road and reflective details improve visibility in low light.